The extremely close-focus distance of only 35 cm (14 in.) 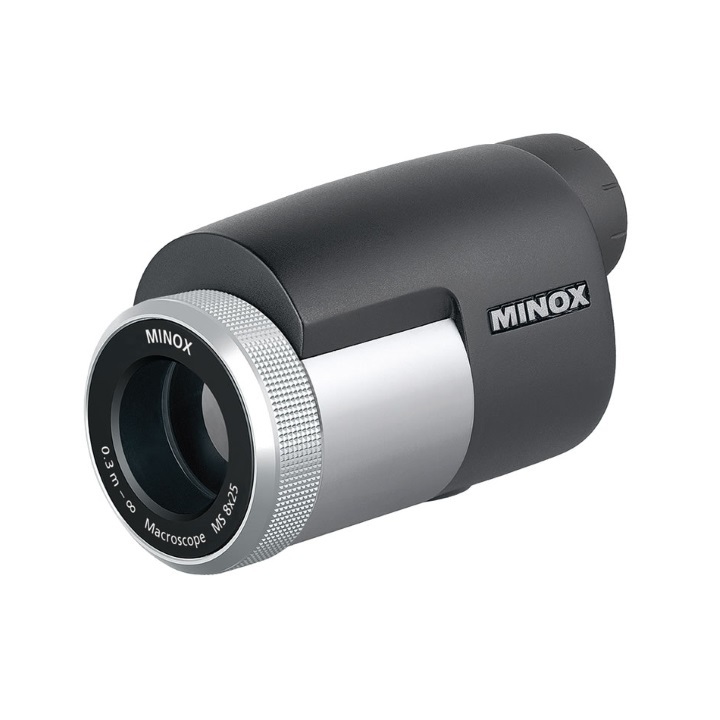 and 8x magnification make the MINOX MS 8x25 the perfect pocketsized telescope for use at concerts or for observing insects and flowers at close range. With a field of view at over 110 m (120 yds. ), it is the perfect tool for observing distant objects and can even be used as a visual aid for the sight impaired. Box Dimensions (LxWxH) 5.5 x 3.5 x 2.5"